“In the midst of a soaring career” (Chicago Tribune), 2015 was a landmark year for young American soprano Becca Conviser, taking home the top prize in five international competitions. Based in the Czech Republic, Ms. Conviser is currently a soloist at Divadlo J. K. Tyla v Plzni performing multiple roles in their season's program. 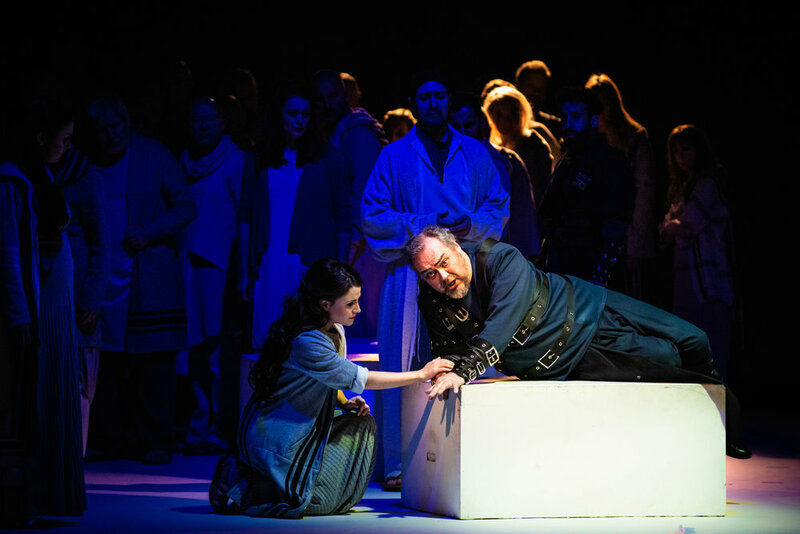 Highlights from this past season include her debut in three productions: Nabucco, Nevěsta Messinská, and Rusalka, where she is the only American in recent history to sing the role of Cizí Kněžna in the Czech Republic. Described for her sound which “exudes joy, enthusiasm and warmth”, Ms. Conviser is a specialist of Slovenian repertoire, regularly featured in Czech and Russian productions throughout the country. In addition, her portfolio of over 25 roles of expanded repertoire demonstrates her vocal strength, versatility and great potential for dramatic repertoire in the future. Her Carnegie Hall debut where she performed excerpts from Richard Wagner’s Tannhäuser was hailed by reviewers as “A Rousing Success”. Acknowledged by the National Classical Singer Competition panel for her “First Class Singing”, Ms. Conviser is frequently engaged as a guest orchestral soloist throughout Europe and the Czech Republic. In March 2018 she collaborated with the Filharmonie Hradec Králové and the award winning Pražský filharmonický sbor, as the soprano soloist in both the Verdi Requiem and Rossini’s Stabat Mater. An avid linguist, Ms. Conviser is currently the only American soloist regularly featured at the Josef Kajetán Tyl Theatre. Critics have praised her Czech presentation on stage, and she is frequently cast alongside some of the Czech Republic’s most prominent artists, including: František Zahradníček, Richard Samek, Christina Vasileva, Maria Kobielska, Eva Urbanová, among others. In addition to her work as a soloist in the Czech Republic, Becca is the Founder and General Director Opernfest Prague. OFP is an innovative program model offering training, performance and professional development opportunities to international soloists. Each member of the OFP team is actively engaged at the National Theater Prague, and their team offers individualized training to OFP’s Voice Fellows in six languages. Since its inception, over a dozen professional contracts have been awarded to alumni as a result of their participation, and OFP Fellow’s are featured on stages internationally. Among her many competition highlights, Ms. Conviser has received awards and/or recognition from over 20 international competitions. Originally from Glencoe Illinois, Ms. Conviser holds both a Bachelors and Masters Degree from the New England Conservatory where she was the recipient of the Perkins Opera Scholarship, and a Professional Studies Certificate from the Manhattan School of Music. She is currently a soloist at Divadlo J. K. Tyla v Plzni in the Czech Republic.